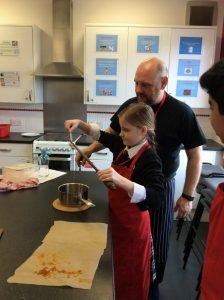 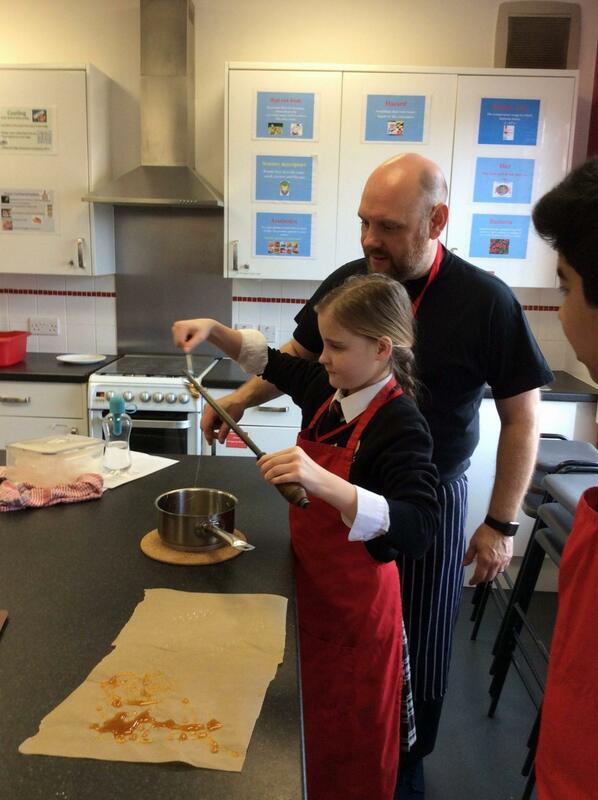 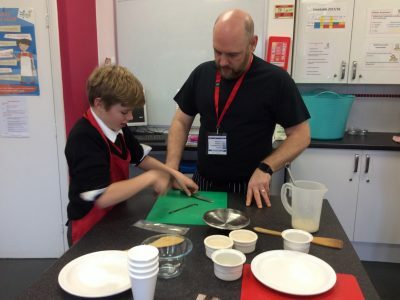 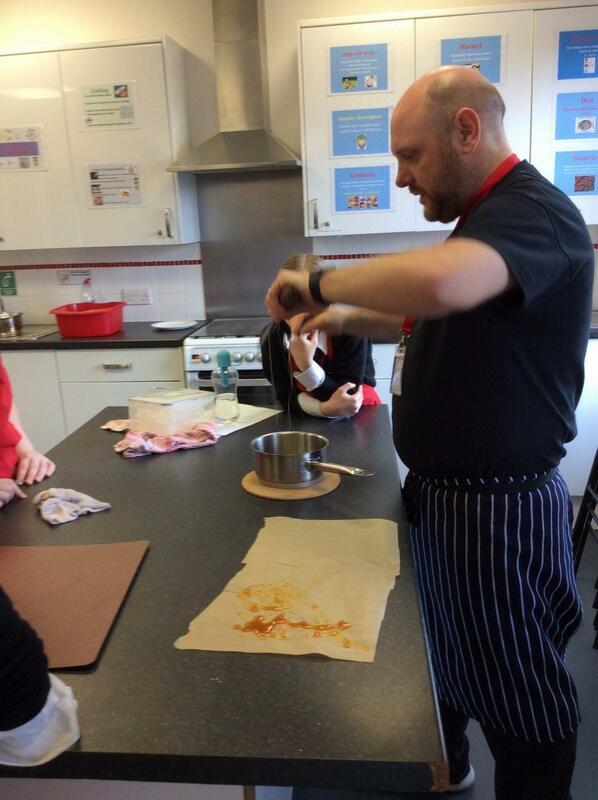 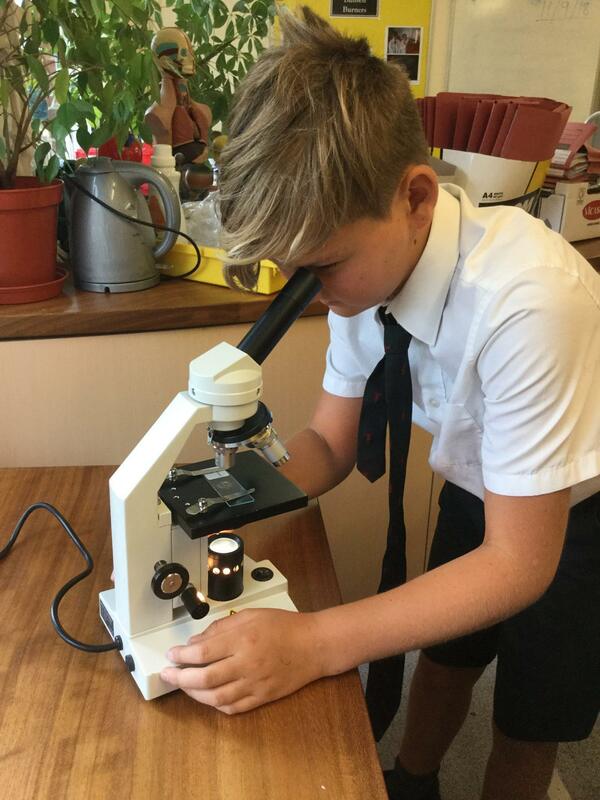 On Tuesday morning, professional chef, Marc Taplin from Taplin Hospitality came to work with the year 8 Home Economics class. 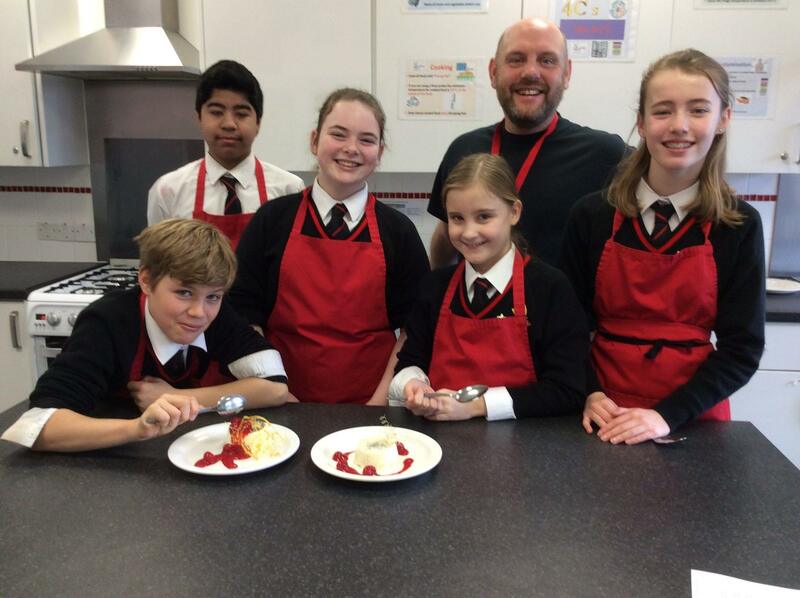 As the class is making a range of dishes from different counties, they made an Italian dessert, Vanilla Panacotta and Raspberry Coulis. 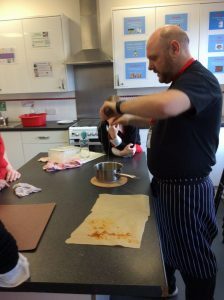 Marc also explained how to make spun sugar and they all successfully produced some quality sugar decorations for their dessert.